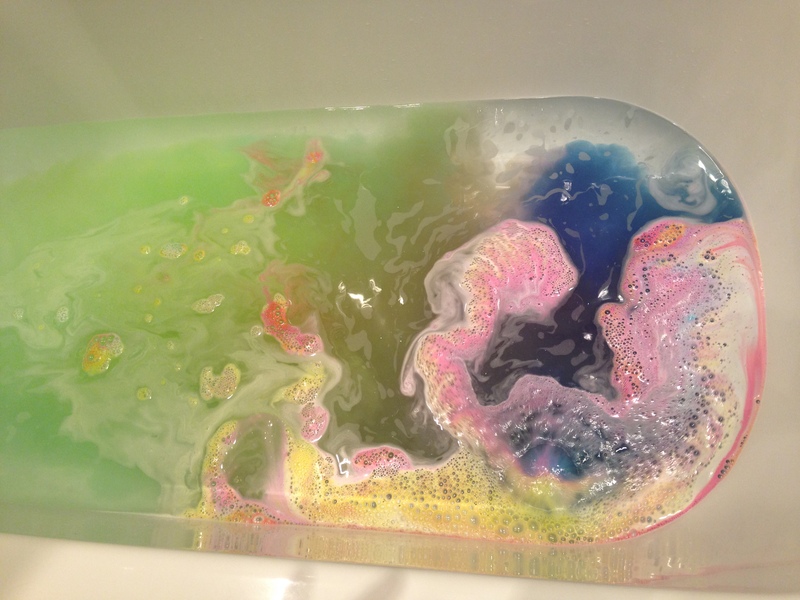 Hey guys, so today I wanted to talk to you about a bath bomb called The Experimenter by LUSH (obviously). 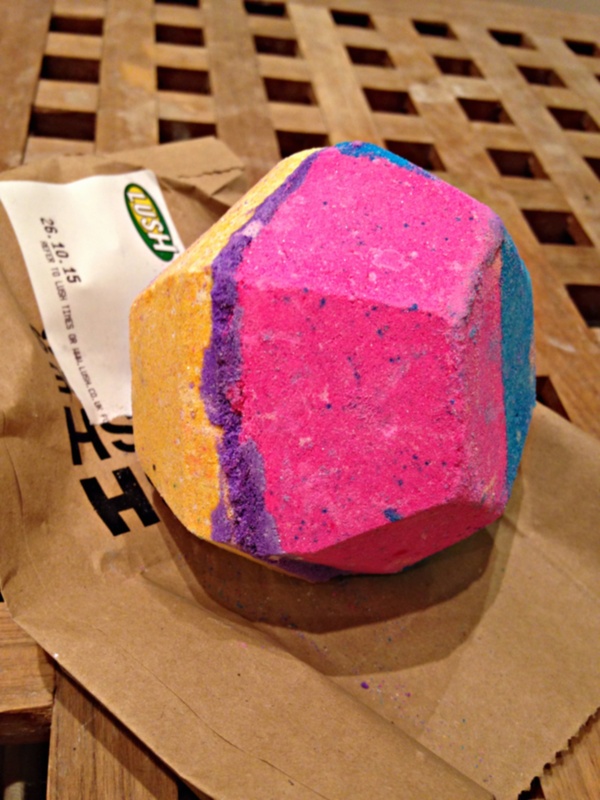 I wasn’t sure if I was going to do this review because I know a lot of people have already used this bath bomb but I decided that I would because the people who haven’t used it NEED to know about this beauty! Straight away when I picked The Experimenter I know it was going to be a colourful one, but I tell you know that was the understatement of the year. The smell is very distinctive, it smells just like the LUSH Gorilla perfume All Good Things but as it fizzed in my tub the room was filled with the scent of vanilla, which was lovely. 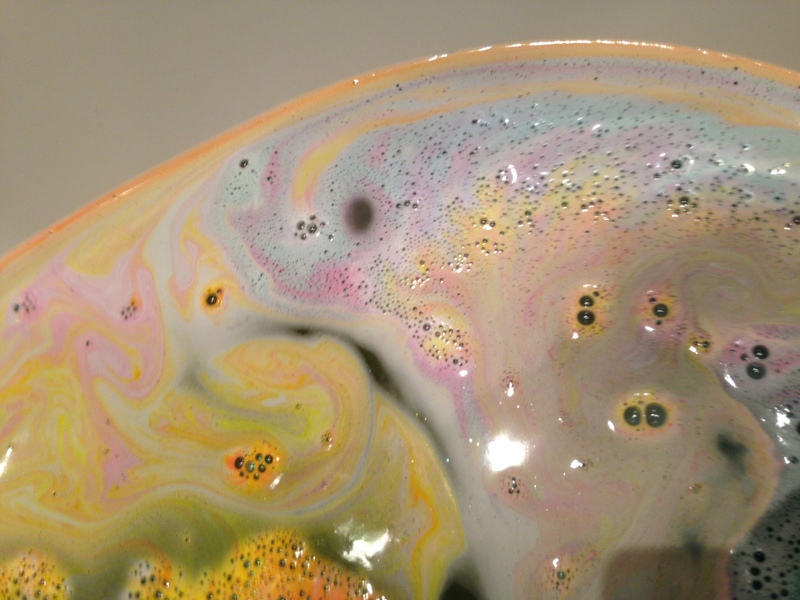 This bath bomb is a fast fizzer but I didn’t mind because I was left mesmerised by the literal rainbow that was in bath. Colours instantly swirling around each other and not only that, there is also popping candy for that extra bit of fun! The colour sit on top of the water for a while creating an almost blanket effect. After a little while the colours start to merge to gather creating a navy blue water with specks of silver glitter which makes it look like you are bathing in a story night. Oh yes, I forgot to mention the glitter. Theres loads of it. It’s beautiful. Obviously if you hate glitter then stay away from this one because you will twinkle for ages. 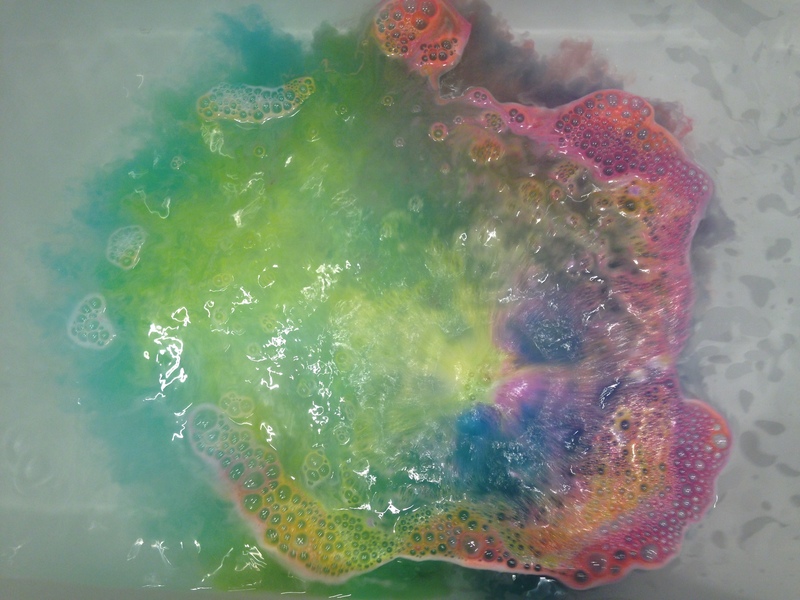 In my opinion this bath bomb isn’t the most moisturising but I didn’t really mind, the colours were just magical and I think I’m going to give this my number one spot on my bath bomb list. Plus, LUSH sell plenty of other wonderful products to make up for the moisture! Quantitative Ingredients: Sodium Bicarbonate, Citric Acid, Perfume, Popping Candy, Vetivert Oil (Vetiveria zizanoldes), Tonka Absolute (Dipteryx odorata), Fair Trade Vanilla Absolute (Vanilla planifolia), Cream Of Tartar (Potassium bitrate), Water (Aqua), Titanium Dioxide, Sodium Laureth Sulfate, Lauryl Betaine, Coumarin, Limonene, Eugenol, Linalool, Calcium Sodium Borosillicate, Tin Oxide, Gold Glimmer Lustre (Synthetic Fluorphlogite, Colour 77492, Silica), Colour 42090, Colour 45410, Colour 45350. Have you used this bath bomb? What do you think of it?